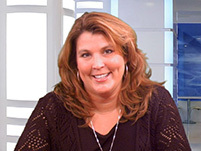 Sandra Batakis - A+ Trainer, MCT, MCSE, CIW Sandra has more than 15 years experience developing IT training programs. She is also a Senior Microsoft Certified Instructor. Sandra has consulted with Fortune 500 companies about IT training. She also has years of real-world experience installing networking infrastructure, configuring Internet security gateways, WAN, and LAN, and transitioning to Microsoft Exchange 5, 2000, 2003, 2007, and 2010. Sandra has taught numerous classes about Adobe, CompTIA, and Microsoft products, and she has made presentations at online Boot Camps.